With the need for improved handling on any car, Agency Power took it’s knowledge of suspension tuning and is offing a solution to make your vehicle handle one step better. 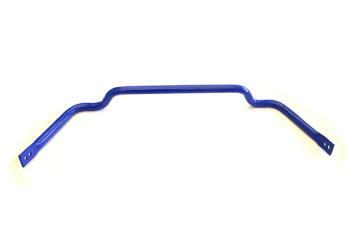 The Agency Power sway bar works with the factory sway bar links and bushings to give your car improved handling. The Agency Power Sway Bar replaces your factory bar with this a larger Adjustable Sway Bar. This bar will give you a wider range of adjustability. The Agency Power bar gives you a stiffer chassis, more control, and is the ultimate choice for serious road racers and street drivers wanting maximum handling capabilities. In addition, Agency Power includes heavy duty sway bar mounts and bushings. The factory mounts are not able to be used with the thicker sway bar. These steel mounts give the car a firm and secure fit preventing any additional movement. All hardware and instructions are included with the sway bar kit.